Leave a comment on THIS post through Tuesday, January 16, 2018 to be entered in the DRAWING for a copy of the book below. If you mention in your comment that you’re a follower (see right sidebar to follow), I'll add your name a second time in the drawing. U.S. mailing address required to receive a paper book. I may or may not have read books offered for giveaways. The mention and giveaway of books on my blog does not in any way indicate any manner of my endorsement of said books. Read book giveaway details at Disclaimers. To provide you security, please leave your email address like this: johnATyahooDOTcom. Winner announced in next Thursday's blog post. Welcome, Harry. What takeaway value do you hope your readers receive after reading your book, Voice in the Wilderness? Actually, there are 3 takeaways. First, Jesus used stories to convince and convict our minds and hearts. Brock Daniels, a gifted writer and the hero of my story, uses words to convince a nation. I hope readers will better understand the power of words and the power of story. Second, the heroine, KC Banning, is incredibly gifted. She is a beautiful genius with a heart that simply will not quit. But KC has come to trust her abilities more than anything else. Regardless of our gifting, we will face times where we are not enough, and only by trusting God will we find a way forward. 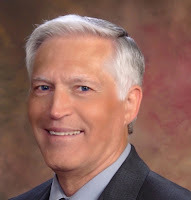 Thirdly, I hope readers will see that America, a nation God has blessed in the past, has abandoned much of the wisdom of our founders and that could lead us into a dark future. That’s an easy question—the sandy beaches of Maui. I’ve written parts of 3 novels there, read, walked miles barefoot in the sand, celebrated my 50th wedding anniversary, and snorkeled. Actually, I don’t snorkel ON the sandy beaches. It was my wife who did that. Suffice it to say that one should not snorkel too close to the shore. You might, as the Beach Boys say, catch a wave. But you won’t be sitting on top of the world. Everything I write—plot outlines, character descriptions, backstory, and chapters of my books—begins as words I scrawl in a spiral notebook using a mechanical pencil. The penciled portions are usually crude, so I transcribe them into Word using Dragon Naturally Speaking. From that point on, I work mostly on the computer. I’ve found that writing by hand usually matches the pace of my creativity. So, new words keep flowing without the disruptive starting and stopping I experience when creating from the keyboard. Vacation: Beach or Mountains? Beach. It’s my favorite writing spot. Y’all or You Guys? Both. My wife and I spent nearly 5 years in Texas and the rest of our lives in the Pacific Northwest. Spring, summer, winter, or fall? Summer. Summers are incredible in the Northwest. Mug or teacup? Mug. Mug = more. Please tell us a little about your novel, Voice in the Wilderness. for Christian Thrillers in the Readers’ Favorite International Book Awards, 2017. It is the story of two childhood soulmates brutally ripped apart by an overprotective father, a US Senator. When threatened by a tyranny-minded president, the two, now adults, find each other and find that, together, they have the abilities, information, and platform to rally a nation against a tyrant … if they can stay alive. Set both in Washington DC and near Crooked River Ranch in the Central Oregon desert, Voice in the Wilderness, Book 1 of the Against All Enemies Series, is a political thriller, with romance, about two people who must decide if they’re willing to sacrifice their lives to prevent the USA from becoming the Dystopian States of America. Where can readers purchase Voice in the Wilderness? If the readers would like a good feel for the main characters and the plotline of Voice in the Wilderness, this trailer does a great job of presenting both. It seemed like a good plan to release my political thriller series, Against All Enemies, across the election year, 2016. But, by the end of that year, Americans were all on political overload. If I were to write a political thriller (with romance) for release later this year (2018), would it interest you or not? Harry, thanks for visiting with my readers and me. Harry is offering winner’s choice of a paperback (US mailing address only) or eBook copy of Voice in the Wilderness to one commenter to this blog post. Commenters, to enter the book drawing please leave your comment on this post through January 16, 2018 and remember to leave your email address so I can contact you if you’re the winner. The winner of last Thursday’s blog post for a copy of Finding Grace by Melanie D. Snitker is Diane W. I’ll email you. Thanks all for commenting. Watch for more book giveaways. I read his book Hide & Seek and thoroughly enjoyed it. I have a couple other of his books waiting to be read. I really am looking forward to read more. Thank you for highlighting Harry! I would highly recommend his books. You would be a new author for me. I try to stay out of the political game, so I'm not sure that would interest me. Thank you for the teriffic interview and giveaway opportunity. FYI, the story doesn't drag you through a lot of politics. It's mostly and action adventure story with romance and most of it takes place in beautiful Central Oregon. Perrianne, you're welcome. Glad you found a new-to-you author here. Thanks for leaving your comment. Melanie, actually this book is a winner -- it won Gold in Readers' Favorite 2017 Book Awards in the Christian Thriller genre. 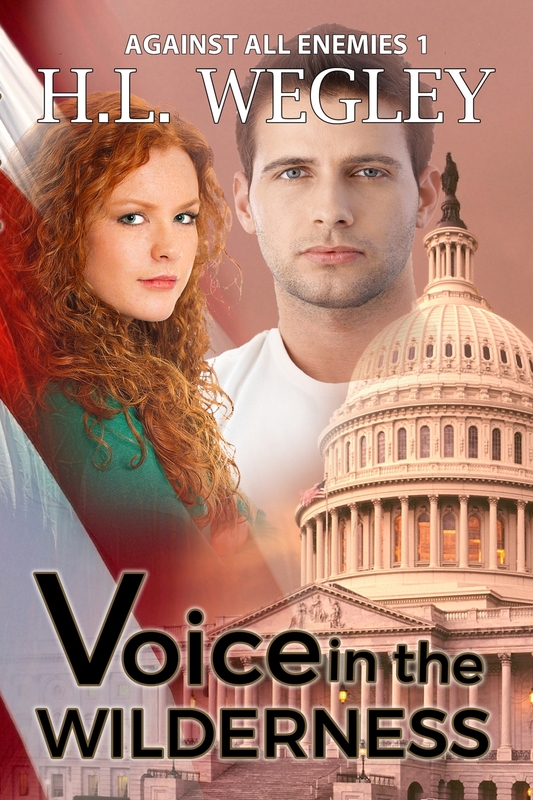 And the sequel, Voice of Freedom, won silver. Thank you for sharing about this new to me author and his books. I don't mind political thrillers anytime. I just tune out the garbage on media anyway! Thanks again and Jo, I look forward to reading your newest too. Anne, as I told someone above, this story is an action-packed romance with thriller-level stakes. Much of it is centered near beautiful Crooked River Ranch in Central Oregon. It's political only in that a tyranny minded president wants to kill my main characters. Anne, you're welcome. Thanks for your interest in my newest release, Friendly Persuasion; hope you enjoy reading it! Thanks for commenting. I love political thrillers with a bit of romance. Would definitely be interested in reading. Yes, it would interest me! Thanks, Shelia! I've got a great story in mind, but may have to put it on hold while I complete another project. Oooh! I've wanted to read this for awhile now! This sounds like a page-turner! Melissa, to me it's a page-turner. I may be a bit biased and a little crazy, but I pick it up and re-read it 2 or 3 times a year. My wife looks at me and shakes her head when she see's me reading Voice in the wilderness again. Melissa, thanks for following my blog and for leaving your comment! Paula, it is a political thriller, but an unusual one. Most of the story is set in beautiful Central Oregon. Susan May Warren gave me advice on how to weave the romance thread into this story so the romance is integral to the plot. Paula, thanks for following my blog and commenting! Glad you enjoy the interviews. Mark, you're welcome and you're entered in the book drawing. Thanks for commenting.